Tech companies like Keyzo IT Solutions Ltd are leading the way on fair pay for all, as they come together with the likes of Google, Sage and Ricoh to form the 'Living Wage In Tech Leadership Group'. Therisa Thompson, HR Manager at Keyzo blogs on why championing a #LivingWage is important in the tech industry, even if companies usually pay above it. Almost 6 million employees in the UK earn significantly less than the real Living Wage. That’s nearly a quarter of the country’s workforce and includes nearly a third of women working in the UK. This equates to two thirds of children living in poverty in the UK despite having a parent in work. 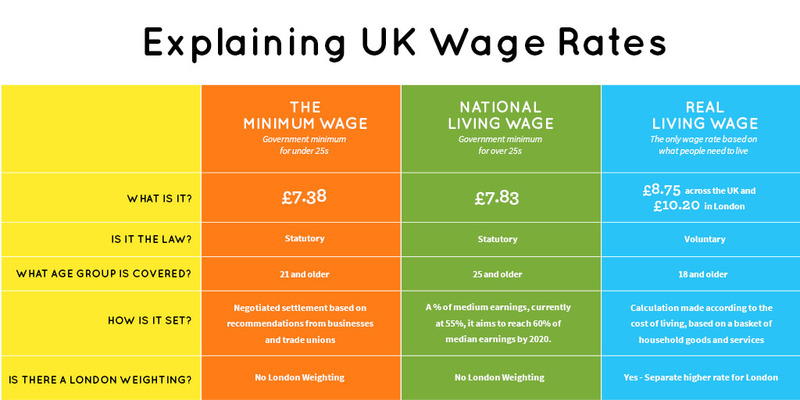 The Governments National Minimum Wage (NMW) rates are not based on what people actually need to be paid to make ends meet by todays living standards. Instead, the rates are based on a target to reach 60% of median earnings by 2020 and for those under the age of 25, the rates also consider affordability for employers rather than the cost of living for workers. The Living Wage campaign is essentially an independent movement of businesses, organisations and people who believe a hard days work deserves a fair days pay. The Foundation campaigns to ensure that everyone can earn a real Living Wage that has been calculated based on what employees and their families need in order to get by. For people who are paid the real Living Wage, it can mean the difference between just getting the government minimum and scraping by from one week to the next and having to go without to earning enough to afford the things needed to live, like a decent meal for the family, a warm home and birthday treats for the children. The campaign for a real Living Wage began in East London in 2001, when Citizens UK brought together some parents to talk about the issues affecting their lives. Many of them were struggling to make ends meet on the minimum wage despite working full time. Some were even working two or more jobs and so were left with no time for community or family life. By paying the real Living Wage, employers are voluntarily taking a stand to ensure their employees and sub-contracted staff can earn a wage that is enough to live on. That basic fairness is at the heart of what this campaign is trying to achieve and why responsible businesses and organisations choose to go further than the government minimum. The Living Wage Foundation launched the Living Wage in Tech Leadership Group in May 2018. The group serves to advise the overall strategy and direction of the Foundations outreach in the tech industry, oversee the growth of accredited employers through awareness raising, develop the Foundations position with key industry networks and provide a public voice in support of the Living Wage movement in tech. The group consists of representatives from across the network of accredited Living Wage Employers in the tech industry, including multinational companies such as Google, Sage and Ricoh, industry bodies, and start-ups and SMEs of varying types from all over the UK. Most tech companies already pay well above the National Minimum Wage and the real Living Wage, but by becoming accredited as a Living Wage Employer and choosing to do business with like minded responsible companies, we can work together to encourage all businesses to do the same. The tech industry is lacking in large accredited employers (companies with over 500 employees), with just a handful currently signed up to the scheme. It is hoped that more leading employers can be encouraged to become accredited with the Living Wage Foundation and ensure fair pay for everyone. Living Wage Week takes place in November, so it would be amazing if we could get more tech companies accredited before then. To find out more about the real Living Wage, and how to become an accredited Living Wage Employer, contact Sam Hepher, Programme Manager at the Living Wage Foundation.